The war on terrorism that followed the September 11, 2001, attacks on the United States took center stage in this election. Bush presented himself as a decisive leader and described Kerry as a "flip-flopper." Bush supporters valued national security and moral values. Kerry appealed to opponents of the war in Iraq and those concerned with jobs, health care, and other domestic issues. The electoral victory again was decided by one state - this time, Ohio. 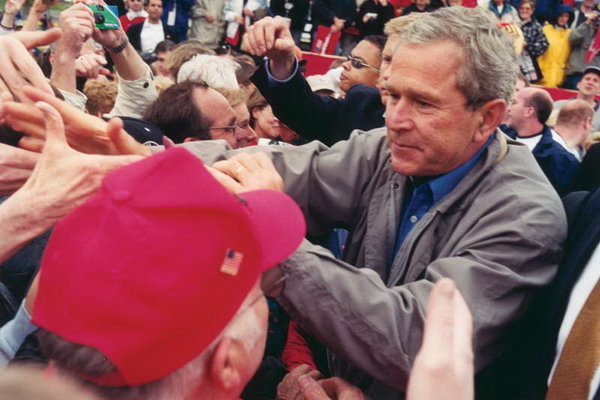 George W. Bush greets a crowd during a campaign stop in La Crosse, May 7, 2004. Photo by David J. Marcou. 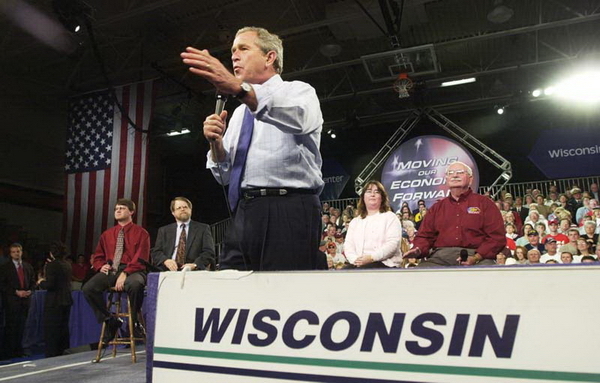 George W. Bush campaigns in Richland Center, WI, October 26, 2004. Photo by Joseph W. Jackson III, courtesy of the "Wisconsin State Journal." 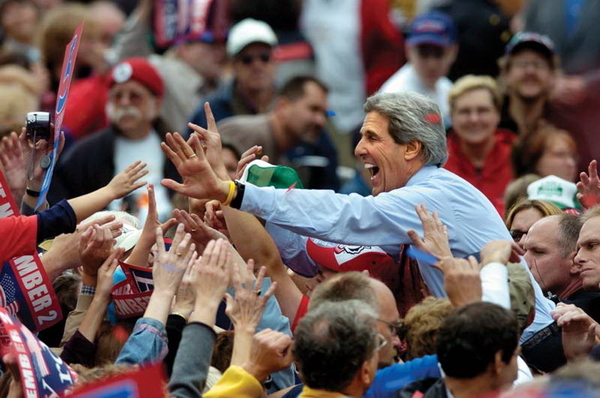 John Kerry greets supporters at a campaign rally in Madison, October 28, 2004. Photo by Steve Apps, courtesy of the "Wisconsin State Journal." 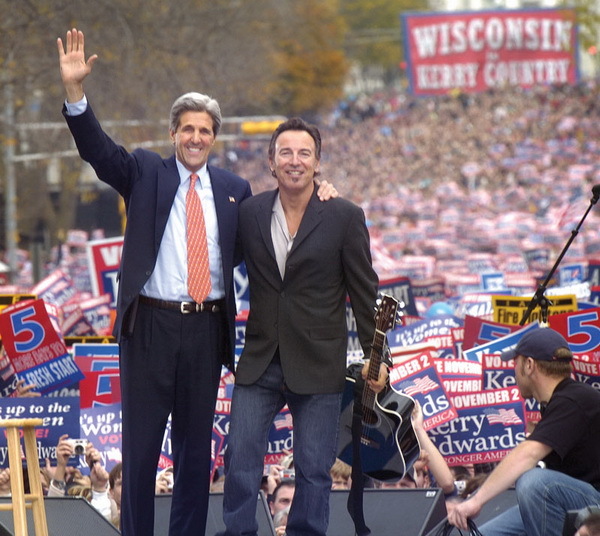 John Kerry and musician and political activist Bruce Springsteen at a campaign rally in Madison, October 28, 2004. Photo by Mike DeVries, courtesy of "The Capital Times."